Birds are wonderfully smart animals, making them exceptionally great companions. Owning a bird is very different from owning a dog or a cat; birds require completely different care than your average furry friend. The first step in taking care of your bird properly is knowing what products your bird will need to be healthy and happy. So, in honor of National Adopt a Rescue Bird Month, here are our top ten most popular bird products that will help you successfully care for your feathered friend. Dimethylglycine (DMG) is a naturally occurring amino acid that has been shown to boost the immune response by over 400%. 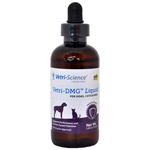 While this product can also be used for dogs and cats, it is commonly used for treating various conditions in birds and is often very effective. Many birds are natural foragers. 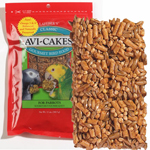 Avi-Cakes fulfill a bird’s need to forage for food while providing adequate nutrition. Not only are these an excellent source of nutrition for your birds, but birds seriously love Avi-Cakes. Like any pet, birds can get infections. These can be especially difficult to treat if you have more than one bird. 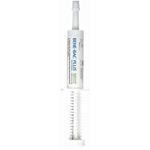 Bird Biotic is truly easy to use as it can just be dissolved into your bird’s drinking water. This item is a must-have if your bird ever comes down with an infection. 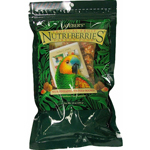 The Tropical Fruit Nutri-Berries are specific for parrots because parrots naturally crave the ingredients of this nutritionally complete food. Filled with pineapple, mango and other wholesome ingredients, this food is a great choice in parrot nutrition. This supplement adds extra nutrients that may be missing from your bird’s food. This powder is palatable and penetrates soft food. Not only does this supplement contain many essential vitamins and minerals, it also has a probiotic factor, making digestion go smoothly. If you’re a cockatiel owner, you probably already know that cockatiels need very high quality seed to eat. 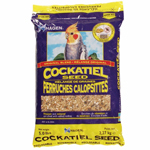 The Hagen cockatiel seed only contains the highest quality seeds selected for high nutritional quality and taste. 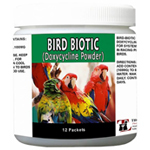 This product is especially useful if your bird is changing environmental or nutritional conditions soon. This concentrated energy source is helpful for birds (and reptiles too) under stressful situations such as boarding, showing or travelling. 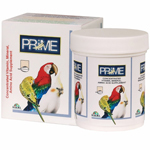 Managing stress is important to bird health, this product makes stress manageable for you and your bird. All birds need extensive mental stimulation. This toy offers visual and mental stimulation while also being non-toxic. 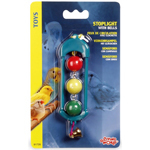 The Living World Stoplight with Bells not only keeps your bird active and happy, it also provides decoration for their cage. Bird baths are important for your bird’s well-being and offer variety to the objects in your bird’s enclosure. 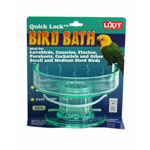 The Lixit Quick Lock Bird Bath is especially easy to set up and is exceptionally sturdy for small to medium sized birds. Despite its name, the cuttlebone is actually the inside portion of the shell of a cuttlefish. These are a great source of calcium for birds and also provide a source of entertainment for birds. Cuttlebones are especially crucial for beak and jaw exercise. 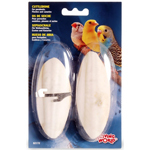 Preventing boredom and over-grown beak related issues becomes simple with the cuttlebone. Caring for birds can be tricky, after all, they are exotic animals that have very different behavioral, environmental and nutritional requirements than most other pets. We hope that these product tips offer solutions and suggestions to your bird care regimen!